If you're trying to find the perfect Christmas gift for the Derwent Hockey player in your life, or you are being hassled for some ideas for your Christmas list, you're in luck. 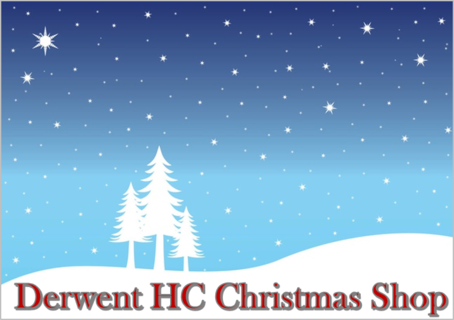 The Derwent Hockey Christmas Shop is now open for business. Okay, yes it is Val Playdon with bags of kit, but that doesn't quite sound the same. The Derwent Hockey Christmas Shop is now taking orders. Santa's little helpers, have been working hard to make sure everything is available, and can be delivered before Christmas. All kit is designed and produced exclusively for Derwent Hockey. The iconic traditional Derwent home shirt is famed throughout the Midlands. Made from a high performance fabric, the shirt is short sleeved and features contrasting trim. Features DHC Crest, and sponsors logos to arms. The Derwent Away shirt is predominately white to comply with Midlands Hockey League regulations. Made from a high performance fabric, the shirt is short sleeved, has the DHC Crest and features contrasting trim. Features DHC Crest, and sponsors logos to arms. The Derwent shorts are used with both home and away shirts. Featuring mesh air vents, for added circulation, probably for the windier people amongst us. These hooped socks are worn with the home kit, and features the makers logo on the front of the socks. The Derwent hoody is perfect for training, pre-match and social occassions.